The disease/treatment/profit machine requires more and more diseases, even if they aren’t real. A group of physical symptoms shared by many people, which has a single cause. For example, take the flu. Wikipedia lists the common symptoms: chills, fever, muscle pains, headache, coughing. 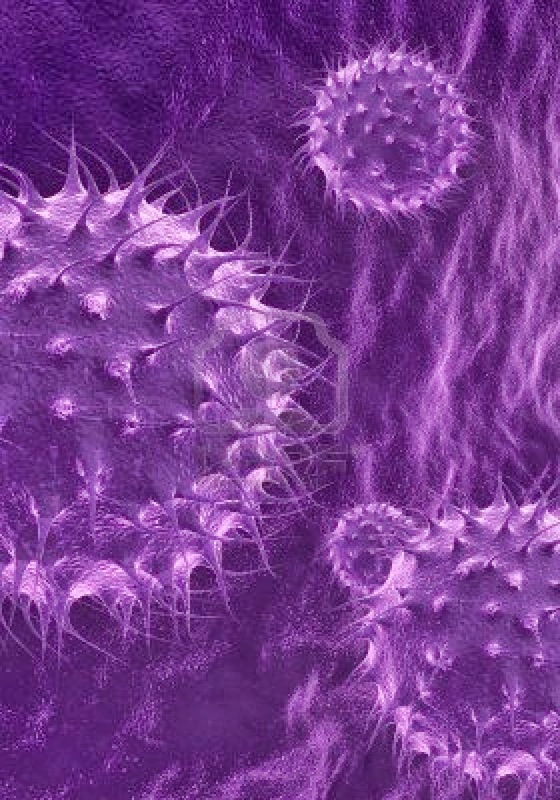 For each type of flu, there is single virus announced as the cause. E.g., Swine Flu; H1N1 virus. Drug companies develop medicines and vaccines to kill the virus or prevent it from gaining a foothold in the body. They sell the drugs and vaccines. Profits soar. Nice and neat. Of course, many doctors don’t bother to test patients to see if they have a disease like seasonal flu. It’s too time consuming to take a blood sample and send it to a lab and wait for the results. So the doctor makes an eyeball diagnosis based on symptoms and the season of the year. As I explained in my previous article, “What happens when only 16% of flu patients have the flu?”, a cursory investigation of this practice can lead to embarrassing results. Every year, many blood samples from patients are, in fact, sent to labs, and only a small fraction of these “flu cases” turn out to reveal any flu virus at all. But this fact is blithely ignored. You have hundreds of thousands of people in the US who display the general “flu symptoms,” but it turns out most of them don’t have the flu. They have a variety of other problems. But admitting this is bad for business. How can drug companies justify making flu drugs and vaccines when most “flu cases” don’t have the flu? The solution? Fake it. Pretend all people diagnosed with the flu actually have it. Bottom line? Just because you have a group of people who have the same general symptoms…that doesn’t mean they have the same disease…and it doesn’t mean the same germ is causing their symptoms. Consider Autism. If you were to Google “Diagnostic Criteria for 299.00 Autistic Disorder,” at autreat.com you would read through a whole menu of behaviors. These behaviors are, in fact, the definition of Autism. They are the entire definition. There is NO cause listed. There is no single cause. No germ or fungus or mold or errant gene or neurological defect. But again, just because you have a great many children who have the same GENERAL symptoms (behaviors)…that doesn’t mean they have the same disease…that doesn’t mean the cause of disease is the same across the board. Nowhere in the definition of Autism will you find a single cause or any sort of bottom-line physical explanation. You will only find lists of behaviors. So…how do they know Autism (or each sub-category in the so-called spectrum) is a single disease? YES, the children are suffering. YES, they have serious problems. Yes, they are not like other children. YES. But is Autism a single disease? Is it even a spectrum of different types of “developmental disorder,” as advertised? No persuasive evidence exists to affirm that. I chose Autism for a special reason: the vaccine connection. I’ll try to boil it down. The medical bosses assert that vaccines COULD NOT be the cause of Autism. On what basis do they say this? Follow closely. There are diagnosed cases of Autism where the child did not receive any vaccines. Or the child didn’t receive any vaccine containing the neurotoxin mercury. And since vaccines are demonstrably not the cause IN EVERY CASE OF AUTISM, vaccines are not the cause at all. Single cause of a single disease means: the cause is the same in every case of the disease. But is Autism (or any sub-type of Autism) a single disease? Is there any convincing proof? Is there a single cause in all cases? No. If there were, you would find it in the official definition of Autism, and it isn’t there. No reason under the sun to accept the idea that what is called Autism is one thing with one cause. In many cases of what is called Autism, we are looking at vaccine damage, pure and simple. Then CALL IT VACCINE DAMAGE, NOT AUTISM. In other cases, the cause would be chemical poisoning from a variety of non-vaccine sources. SO CALL IT CHEMICAL POISONING, NOT AUTISM. In other cases, a severe oxygen deficit. CALL IT OXYGEN DEFICIT. In other cases, major nutrient deficiencies. CALL IT NUTRITIONAL DEFICIENCY. In other cases, all four of these. CALL IT ALL FOUR OF THESE. Call “it” what it is found to be, in that given child. Look into the life and body of each unique child. Stop using the generalized label, Autism. Ah, but if that happened, doctors would be forced to do things they aren’t trained to do. And drug companies, the last time I looked, don’t have a safe and effective drug to reverse vaccine damage. If Autism isn’t one disease with one cause, there is no single way to treat all children diagnosed with Autism. The diagnosis itself is a misnomer and a deception. The label is a deception. A lie. The answer could only come with a truly honest and competent and skillful examination of the child. That unique child. Holding out for one grand solution to a problem that isn’t one general problem is doomed. Many children are waiting for a successful universal treatment that will never come. There are reports that, in some of cases of “Autism,” hyperbaric oxygen has shown good results. But what about cases where the real problem is severe nutritional deficit? It comes down to this: do parents want a solution to what their unique child is really suffering from? If so, then someone has to discover what that is. And then that practitioner has to come up with an answer that truly helps. Calling all children who have similar generalized symptoms “Autistic” doesn’t help. But it does provide an avenue of profit for drug companies. Their paid researchers can announce “breakthroughs” and “partial answers” and come in behind that with new drugs. And then they can even say, “We’ve found the cause,” when they haven’t. They can market a whole raft of drugs that “alleviate the cause.” And make billions of $$, while children still suffer. Here’s a real-life illustration. The parents of a young boy are at their wit’s end because he has withdrawn from the world. He can’t communicate. His physical coordination is lacking. He has other problems. But another doctor, someone who practices medicine but also has human instincts and a genuine desire to go the distance and help that boy, investigates. And he finds several crucial things. The boy, who has never had vaccines, has severe nutritional deficiencies. On top of that, he’s extremely sensitive and reactive to certain artificial colors and dyes in processed foods. He has bowel problems, debilitating gastrointestinal infections. He almost strangled on the umbilical chord at birth. Suppose the the doctor can prepare a comprehensive non-drug program to correct these problems. And after a time, the boy begins to emerge from his isolation. Into the world. This is like asking whether the victim of an automobile accident had Broken Bone Syndrome. If the answer right now is no, there is no reason to buy the label and walk down the tortuous path the label implies. If later on, the doctor says yes, we definitely do have a cure, then the parent can look at it through a high-power magnifying glass of intelligence and justified skepticism, to find the fine print, and understand what the doctor is really talking about. Is he telling the truth? Is he lying? Does the supposed cure have such dire adverse effects the child is merely trading one set of crises for another? Are the new crises just masking the old ones? Here is the rule: if someone claims that a cluster of symptoms adds up to a disease label for many people with that cluster, but the doctor has in his hands no cause for the cluster, there is no reason to assume the label means anything. But does the doctor have the cause of Autism? Does he have a treatment that really works? Is the parent in better shape by assuming her boy has “Autism,” whatever that is supposed to mean? Is the boy helped in any way by this? Or is the mother of that child simply assuaged and relieved, because the doctor has put a label on her child who, up to now, was a troubling mystery? I know people are going to write me with alt. solutions for Autism. They are going to assume there is such a thing (across the board) as Autism and it has a single cause, and there is a brilliant treatment for all of it. To them I would suggest reading this article again and thinking about what it actually means. Really? They SAY they’re getting closer. That’s different. What do you expect them to assert? They’re getting farther away? Related: What happens when only 16% of flu patients have the flu?